In Indian cuisine, Khoya and Paneer are the most commonly used cheeses. Khoya, also called as Mawa is used for making Mithai (desserts). Frankly, I haven't cooked with khoya yet. But, Paneer (Indian Cottage Cheese) is something I am quite familiar with. Like any other cheese, Paneer is made by curdling milk. It is used for both sweet and savory dishes. Well, I make Paneer at home. 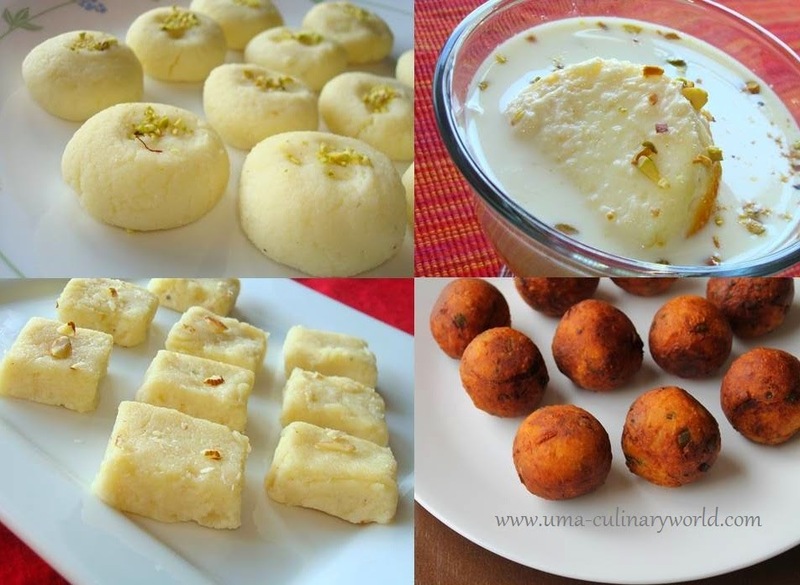 But, on busy days, I prefer store bought Italian Ricotta Cheese as an alternative for Indian Mithai. Trust me, Ricotta cheese works perfectly fine for sweets. Here are all the Indian recipes with Ricotta Cheese as the star ingredient. I loved making Ricotta Cheese Koftas too.